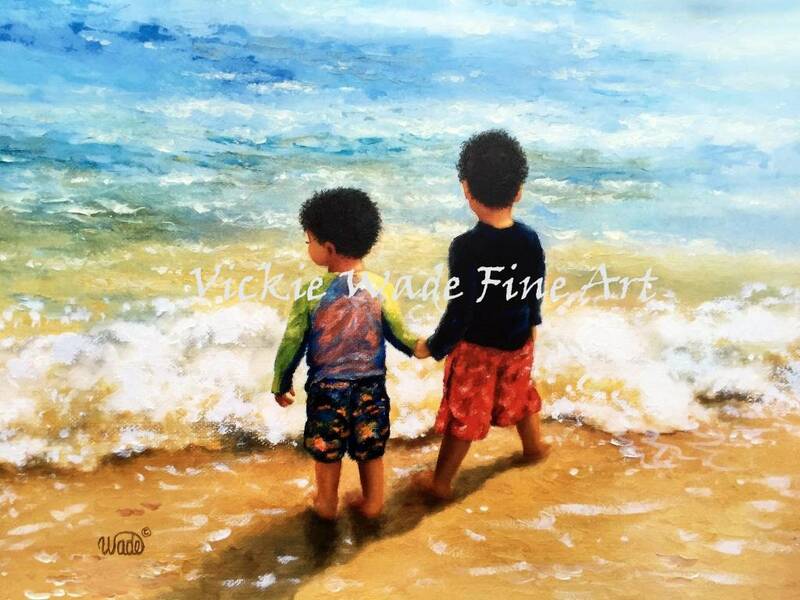 "Two Little Beach Boys Holding Hands"~~black curly hair~~ is a large fine art print of an original painting of mine. 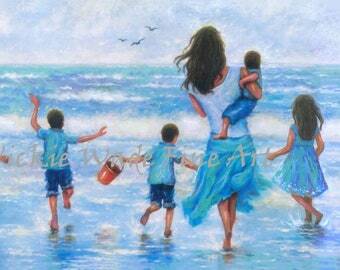 * Image size 11" X 14+" approx. printed on 12" X 18" heavyweight smooth cover paper. stores like Michael's Craft Stores. * Ships in a cello sleeve rolled in a sturdy tube for a safe delivery. 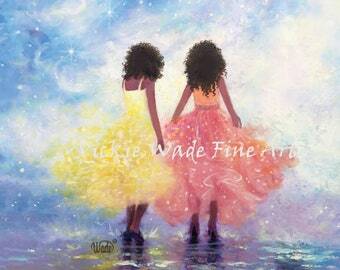 African American Art Print two sisters, fashion girls, black sisters pretty spring dresses, two african american ladies, Vickie Wade Art.